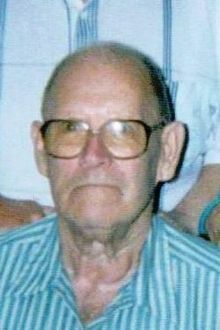 John Arthur Wise, Jr., 86, of Candler, passed away on Friday, July 31, 2009 at Pisgah Manor. He was the son of the late John A. and Annie M. Wilson Wise Sr. He was also preceded in death by his wife Verna in 2005. Mr. Wise served in the US Army during WWII and retired from Asheville Auto Parts after 42 years of employment. Survivors include his daughter, Jeanette Hutchinson and husband James of Candler, son, John Wise and wife Faye of Candler, sister, Shirley Barritt of Cary, grandchildren, Jason and Allen Watts, Randy, Rodney and Rick Hall and numerous great-grandchildren, nieces and nephews. Graveside services will be held at 3PM, Monday at Forest Lawn Memorial Park. The family will receive friends in the funeral home from 1:00-2:30 prior to the service. Military honors will be provided by the Buncombe County Veterans Council Memorial Team. The family would like to extend a special thanks to the staff of Pisgah Manor for their loving care. To sign Mr. Wise's online register book please visit www.moorefh.net.